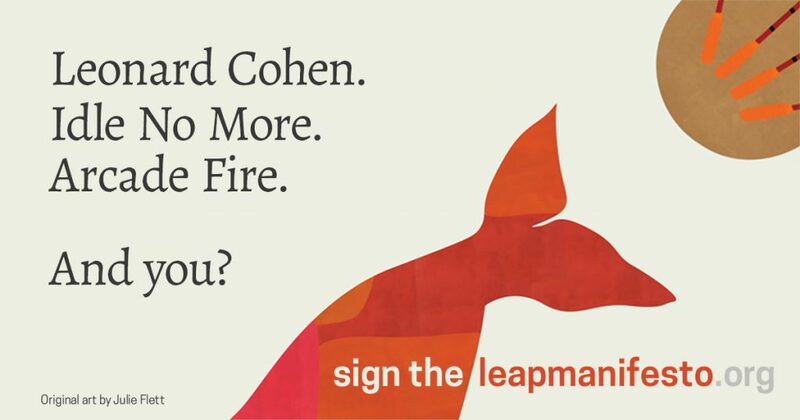 Prominent Canadians with Indigenous and non-Indigenous roots are shaking up the political and social order by urging Canadians to sign The Leap manifesto. The Leap’s manifesto contains stark reflections of the Truth and Reconciliation Commission’s calls to action, including the need to implement UNDRIP. If you are excited about supporting The Leap’s bold vision for environmental, social and economic inclusion, and fundamental change, ask yourself: what does The Leap mean to the decades-long struggle to win Indigenous rights to traditional territory and to sacred lands and waters in the Ottawa River? European colonists named these islands and flowing waters Chaudiere Falls, Chaudiere Island, Albert Island and Victoria Island. Grandfather William Commanda called the site Asinabka. The Algonquin chiefs who are now calling on federal and municipal officials to talk to them about their vision for this traditional unceded territory call it Akikodjiwan. Our work for Akikodjiwan is part of the Leap humanity needs to make. By supporting the Algonquin chiefs’ joint statement, you are supporting their leap into a respectful nation-to-nation relationship with federal and municipal levels of government. It’s time to demand that the National Capital Commission and the City of Ottawa respond to the chiefs’ call for meetings to discuss their plans to claim and develop these former industrial sites. Take your support for the Algonquin chiefs to social media by asking founding signatories of The Leap if they support the leap that the Algonquin chiefs are making. Join us in a Tweetfest for the next week, using the hashtag #theleap. Retweet, visit, and follow @falls3islands, if you prefer. Visit our Facebook Page to share our posts about #theleap with your friends.